All posts by Randi Priluck, Ph.D.
June 12, 2018 Artificial Intelligence, Augmented Reality, Data analytics, social media, social media marketingRandi Priluck, Ph.D. The Seidenberg School at Pace University has opened the Applied Data Sciences and Networking Lab on the New York City Campus. I visited yesterday and met with students who will give me a background in Cyber Security on my next visit. Lubin’s Social Media & Mobile Marketing students will use the lab to build their digital skill sets. Thank you Dean Hill, Dr. Gabberty and students for your hospitality. Database and Big Data coding: Learn how to build databases, tables, clever queries, professional-looking menus and screen forms following our hands-on instruction manual. Bring your external USB device b/c you’ll want to take what you’ve learned during the day in the lab and continue building it when you go home. Cyber Security: Are you interested in learning how to find a job in the cyber security field, and don’t know where to begin? We have over 140 lab exercises for you to work with that will seriously develop your hacking skills and prepare you for numerous certifications that employers like to see on your resumes. Even more, we have a target range of available machines for you to practice against to build your nmap, wireshark, and metasploit skills! Telecommunication & Networking: Are you interested in learning more about networking and have been unable to hone your skillset because you lack the $ to buy the necessary Routers and Switches used in industry to develop your IOS skills with? No problem! We have state-of-the-art Cisco equipment available for you to work with as assisted by our in-house CCNA certified student assistant. More information at Applied Data Sciences Lab. March 20, 2018 social media marketingRandi Priluck, Ph.D. This “How to Teach Social Media Marketing” post has some excerpts from the Massachusetts laws on privacy. There are a few federal laws associated with social media marketing and some states have their own laws that protect consumers. If one State has a law to which firms must adhere, it increases the likelihood that more people will be protected. The textbook Social Media & Mobile Marketing Strategy from Oxford University Press has a whole chapter on legal matters that apply to social media marketing. Purpose. Establishes minimum standards to be met in connection with the safeguarding of personal information contained in both paper and electronic records. 201 CMR 17.00 applies to all persons that own or license personal information about a resident of the Commonwealth. 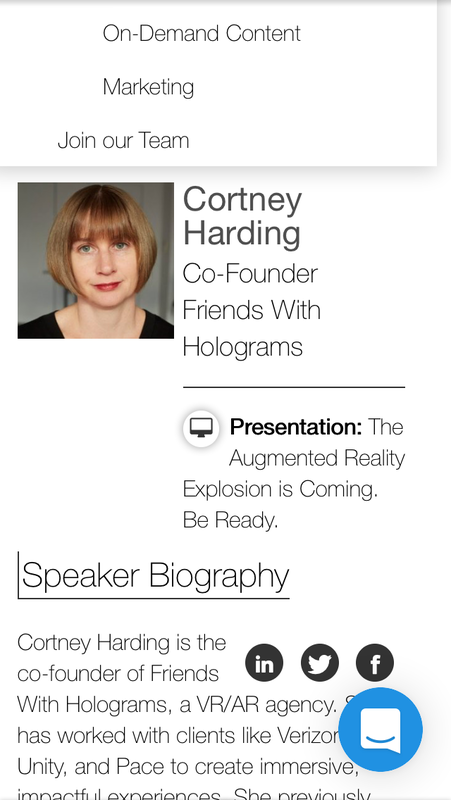 February 28, 2018 social media marketingRandi Priluck, Ph.D.
Today I am live posting from the Mobile Innovation Summit. 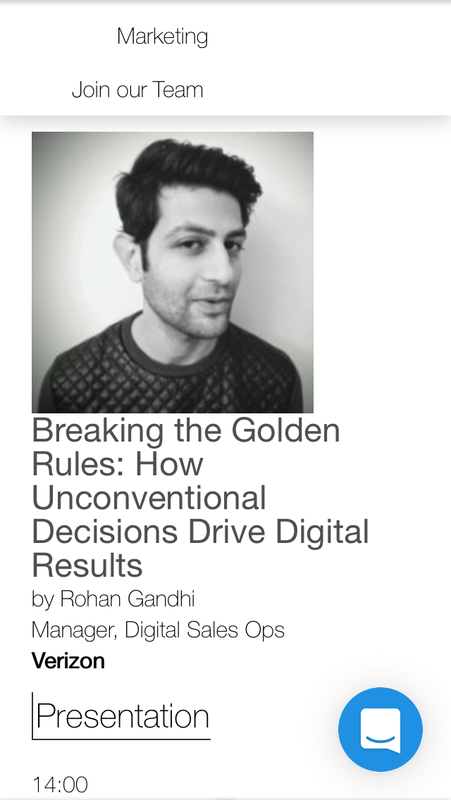 Verizon’s Rohan Gandhi presented: Breaking the Golden Rules: How Unconventional Decisions Drive Results in Digital. What makes for a good mobile experience? Go ahead and break the rules. Followed to a fault, rules result in a sub-optimal customer experience. People’s expectations have changed and it’s hard to predict what they want. Often, they can’t even articulate their needs and desires. The Skin email digest raised significant rounds of money, built on email. Brick and mortar retail is dead. Bonobos, Amazon and Warby Parker now have stores. Verizon was founded in retail, so it has to reformat. If fewer steps are best then zero steps would lead to 100% conversion. But that’s not so. Customers expect a human experience. Marketers should ask “how does the customer perceive the complexity of the purchase?” Customers want to buy a phone from a person rather than online. If taxes were done in 1 step, people wouldn’t trust it. 70% of Verizon customers start on web and end in store, so Verizon added steps in the process to make people more comfortable. We don’t do enough brand experience planning. Brand essence happens in little moments that add up. Verizon spends time on motion and clean design. For example, when a customer buys a certain service, the mobile site unleashes confetti. It’s fun, but hard to measure. These kinds of experiences make the brand accessible to customers.